Road Traffic Accident Claims - Who is to blame? Who do I Claim Compensation from for my Road Traffic Accident? While in many road traffic accidents it is clear who is liable for compensation, in a number of cases it's not. Who you claim compensation from for a road traffic accident injury will very much depend on the circumstances. In this post we look at the various parties who may be liable to pay you compensation should they cause you injury in a road traffic accident. This is the most clear cut of all the cases. If another driver causes an accident and you suffer a personal injury as a result of their actions, you will make your compensation claim against them. Usually, this will be through their insurer. Where you are involved in a road traffic accident, you must tell both the police and your insurance company of the accident. You should exchange details with the other driver at the site of the crash in order to later make your claim, if you do not the insurance company may refuse to pay the compensation. You are also able to make a claim where you are injured as a passenger - even against the person driving the car of they are at fault. Under the law, all drivers must have what is known as ‘third party insurance’. Third party insurance covers any claims made by passengers against the driver. 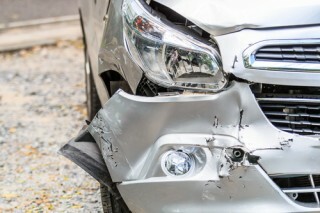 If you are involved in an accident where the driver responsible is uninsured, or where the driver is unknown (for example, where the driver drove off), you may be able to claim compensation from the Motor Insurers’ Bureau. If your accident was caused by a defect in the road, you may be able to claim compensation from compensation from your local authority. Click here to read more about claims for road defects. For more information on making a personal injury claim, read our guide here.